I’m still painting eggs this January, but I decided to add another element. 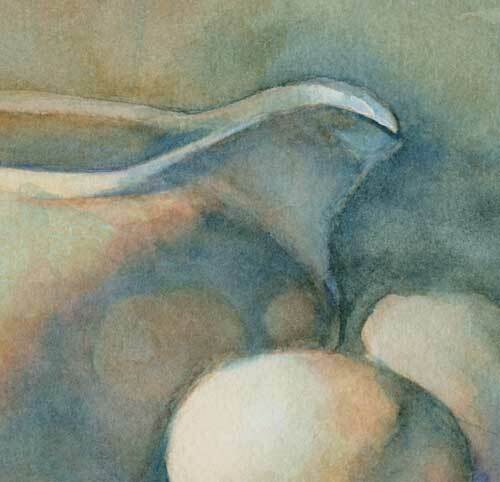 I know I’m not handling these white subjects in a traditional watercolor fashion that’s light and delicate and high-key. 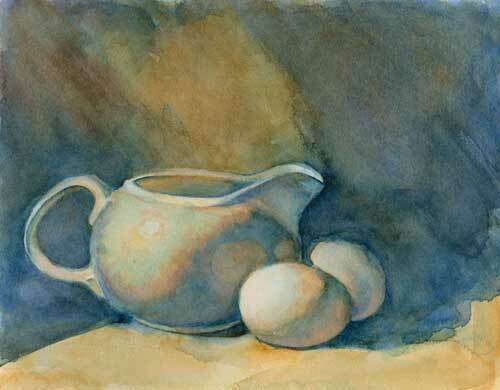 I’m trying to find a way to make a low-key painting with watercolor because A. The high-contrast Dutch and Flemish genre style master paintings (think Vermeer and Rembrandt) set my brain on fire, and B. I’m trying to push my watercolors to be more. 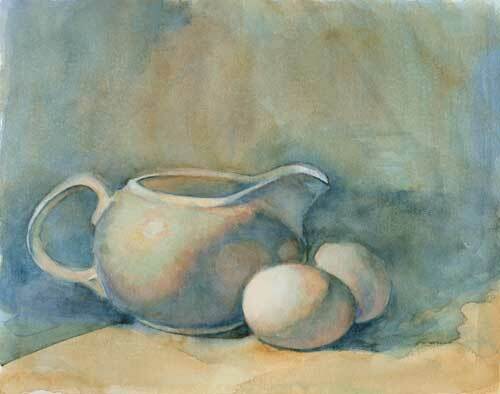 I like the work in the pitcher spout and the eggs. But there’s still not enough contrast between the pitcher and the background. So after I scanned this painting, I went back for a quick, devil-may-care splash at the easel. What the heck. I wasn’t happy with the painting anyway. After washing the background with several layer of ultramarine blue, terra rosa, and some dark greeny-blue that has no name in my palette, the contrast is working better. And now I’m starting to get a more textured background, which I also like. I’ve sanded the background twice with a rough grit sand paper, and applied multiple layers of paint, but it wasn’t until I started to put more paint on the paper that things started happening. 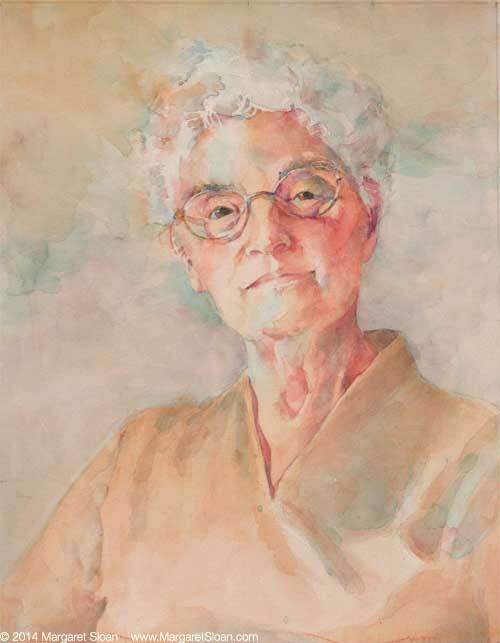 Sometimes it pays to have courage with watercolor.